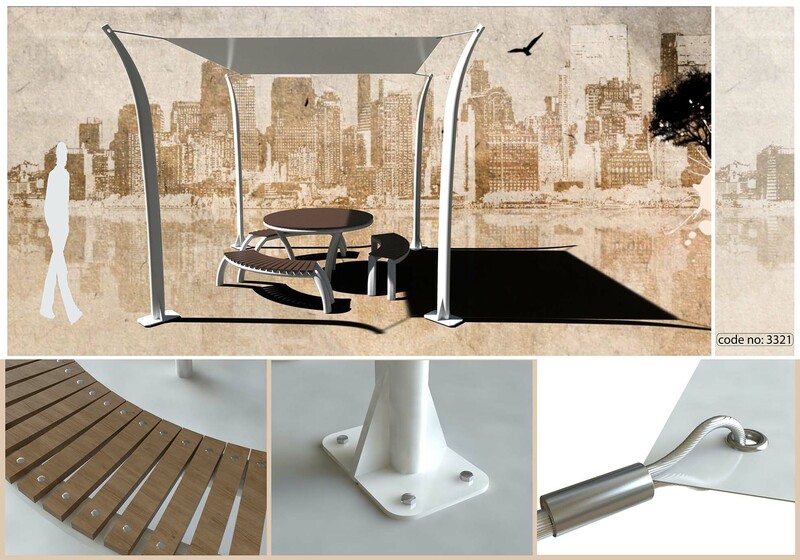 Sun shelters and outdoor benches designed for competition purpose, made out of steel structure and polyester fabric. Use of tube steel and oak wood. Here we see some industrial designs for a shadow system used in urban areas like parks or airports. Τhese sun shelters and outdoor benches were designed for competition purpose, made out of steel structure and polyester fabric. 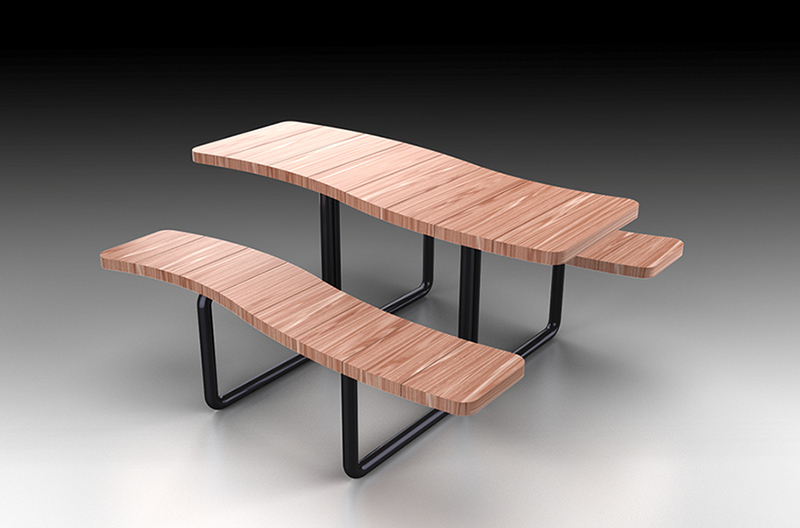 The outdoor sitting was made of tube steel and oak wood. The first one is consisted of few assembled parts ease during installation and maintenance. 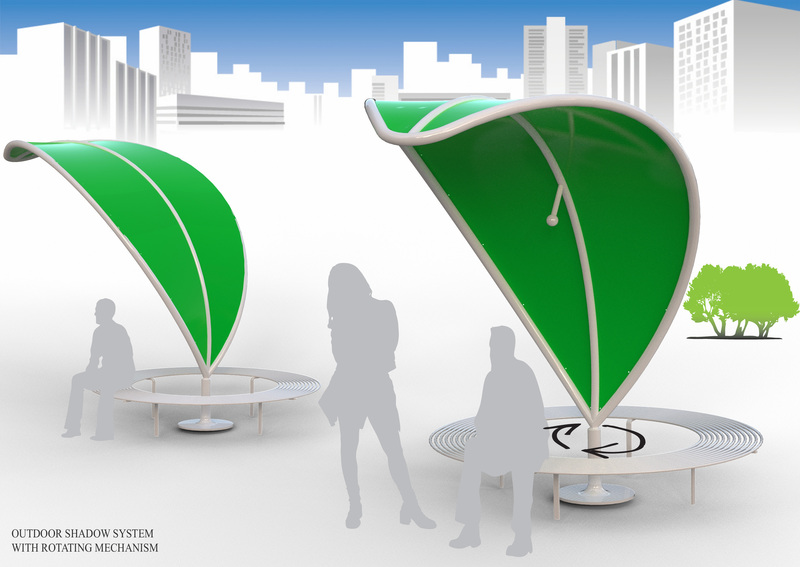 The leaf shelter can integrate in any urban environment and is able to rotate with a simple mechanism. See more examples on our product and industrial design work (3d scanning, 3d modelling) here.